A snake in need of glasses/ Went out to make time with the lasses . 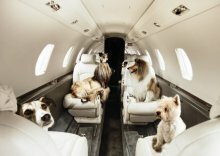 . .
Over the years, I’ve researched and covered stories about airlines providing pet service on flights. 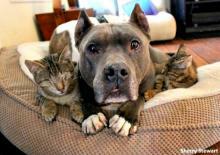 Shedding their tough dog images, two rescue pit bulls nurtured three sightless cats back onto the road of relative independence one gentle nudge at a time. A horse is a horse, of course, of course, but owning and maintaining a horse can be out of reach for most of us. One answer to this for kids has long been a hobbyhorse, e.g., a stick horse. 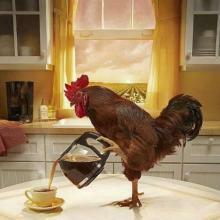 People keep thinking that us roosters are just naturally morning people. I gotta tell you, I have nothing to crow about until I've had my first cup in the morning. Ravens & Crows Are Birds Of A Feather? When those ‘Four-and-twenty-Blackbirds’ got baked into that ole pie back into the 18th Century, did anyone question which blackbirds they were referencing? Tacos can be a bear to deal with. As delish as they are they just won't stand up straight. 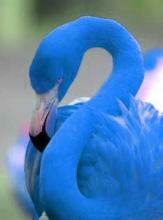 Here we have an example of the rare blue flamingo. It's migratory region includes Narnia, Middle Earth, and Neverland.